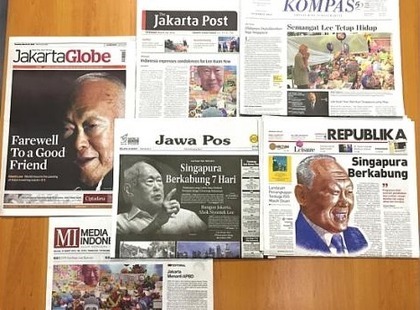 There was extensive coverage of Mr Lee's death in Indonesia, with at least six morning newspapers reporting the news on their front covers. The Jakarta Post devoted five pages to "the sage and giant of South-east Asia", as one editorial described him. The Jakarta Globe also paid front-page tribute to Mr Lee with the headline "Farewell to a good friend". In its five pages of coverage, the newspaper said that Indonesia remembers him as an "inspiration". 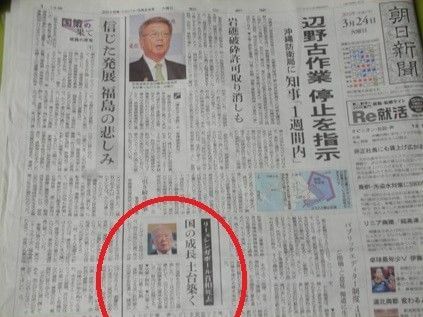 A commentary in Jawa Pos newspaper referred to Mr Lee as "The Philosopher King", while Republika described him as a "friend" with a sharp tongue. Kompas said that Mr Lee's spirit will live on, adding that he leaves behind a successful Singapore. Media Indonesia described him as an authoritarian with merit and "a father of the nation loved by its people".